In January 2018, Taoiseach Leo Varadkar acknowledged to the European Parliament that Ireland was falling behind the rest of Europe on taking action to address climate change. He characterised it as Ireland being a laggard on climate change action. A “laggard” — someone who makes slow progress and falls behind others — is also called slowpoke, plodder, dawdler, straggler. It suggests a rather benign way of being: someone who is trying but can’t quite seem to keep up with others, maybe because she/he is dreamy or preoccupied. The laggard is not at fault; it’s just the way he/she moves through this world. That comes off as a self-serving way of describing the worst country in Europe, and 48th out of 60 countries, on climate change performance, as measured by the 2018 Climate Change Performance Index. The Index is produced annually by several leading European think-tanks and it ranks countries based on emissions levels, renewable energy take-up, energy use and climate policy. Ireland performs poorly across all sections. While Ireland often notes it is such a small country that its GHGs cannot make much of a difference to climate change, the Index notes that Ireland has one of the highest per capita GHG emissions in the EU. Since the Taoiseach declared Ireland as a laggard in 2018 it has resurfaced in the 2019 Climate Change Performance Index as once again the worst in Europe. So over the last year it has not done much if anything to catch up with the others in Europe. That’s more stubborn refusal to change than lagging. In another recent assessment from Climate Action Network (CAN) Europe, Off Target: Ranking of EU countries’ ambition and progress in fighting climate change, Ireland shows up as second last in Europe, ahead only of Poland. This assessment offers some indications of where Ireland is failing and falling behind. In this same study, the United Kingdom ties with Austria for 14th on the chart. The ranking is based on how countries perform in reaching their climate and energy targets and a set of climate and energy indicators, and how countries behave in setting and increasing both European and domestic targets. The various factors considered for the rankings are more specifically described in the report. At 14. A primary factor in the low CAN assessment is the inevitable failure of Ireland to meet its 2020 EU obligations to reduce greenhouse gas (GHG) emissions and its likely missing of the 2030 targets. 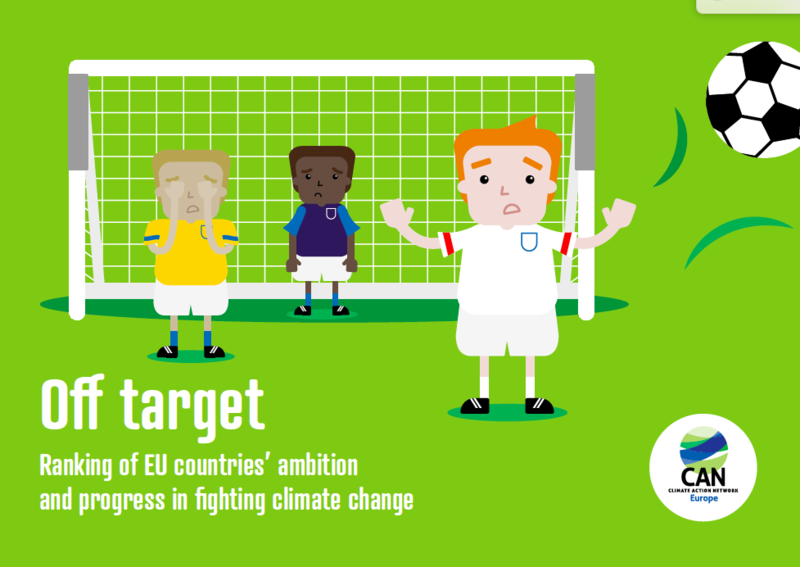 And the 2030 targets are not very ambitious in part because Ireland “played a negative role in the negotiations of the EU 2030 climate and energy legislation, pushing for loopholes to dilute the laws.” At 13. The failures to meet 2020 and 2030 EU obligations are all the more grating because Ireland will be facing non-compliance costs of about €500 million each year. This is Ireland’s well-deserved reputation, and it turns on the overarching shield protecting its agriculture sector. As for its transport sector, the government seems incapable of even imaging solutions, let alone actually taking any actions. Yet emissions from the agriculture and transport sectors continue to cloud Ireland’s GHG landscape. As the CAN study notes, Ireland’s inability to develop concrete plans to reduce GHG emissions is particularly egregious since it is blessed with unusually strong renewable energy resources, notably wind, as well as the potential for wave and tidal power. As Amazon, Apple and Facebook are committed to relying on renewable energy in Ireland, their concerns may become more of a problem for the government than the regressive agriculture sector. The Citizens’ Assembly, a body of 100 citizens randomly selected to be broadly representative of the Irish electorate, was established to consider some of the most important issues facing Ireland’s future, including how to make Ireland a leader in tackling climate change. It was thoughtful, inclusive, and creative, and set down a number of concrete, critical actions necessary to protect against climate change impacts, including a tax on GHG emissions from agriculture. Recent protests from students have adopted the Assembly recommendations, and added some of their own. Unfortunately, almost as soon as a tax on GHG emissions from agriculture surfaced at the Assembly, the meat industry raised strenuous opposition to any such notion. The Citizens’ Assembly recommendation for a climate tax on agriculture was promptly and perfunctorily rejected by the government. It seemed that the industry and government were coordinating their attack on the notion to nip it in its bud. Whether other concrete climate actions recommended by the Citizens’ Assembly meet the same fate remains to be seen. 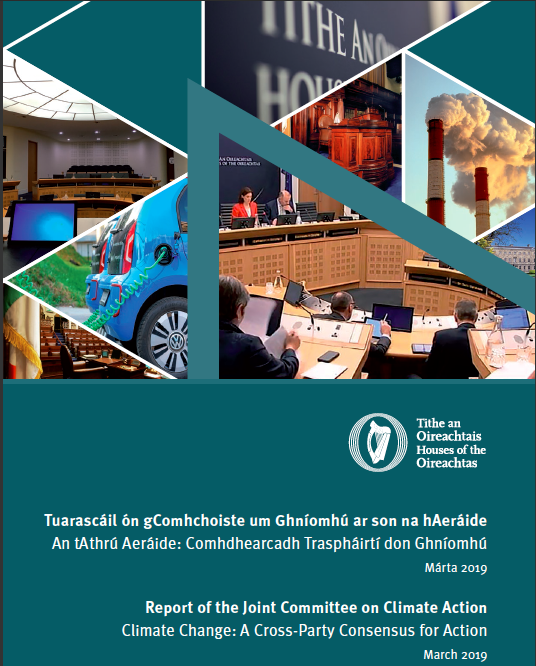 There is some room for optimism as an all-party Climate Action Committee has been established in the Oireachtas (Legislature) to assess the Citizens’ Assembly recommendations and agree on steps to decarbonise Ireland. Some progress seems to be on course, as the Committee is in the process of adopting many of the recommendations of the Assembly, and other reforms. There remain divergent views on the form and extent of a carbon tax, and the Committee’s reforms for the agriculture sector are vague and limited. Specifically, the Committee punts on the Citizens’ Assembly recommendation for a carbon tax on agriculture claiming: “The issues around taxation as a means to manage agricultural emissions are complex and were not considered by the Committee in sufficient detail.” At 66. Instead the Committee exhorts: “There is a need for a more diversified, resilient, sustainable and equitable model for Irish agriculture. This must now form the central component of a long-term strategy development for Irish agriculture moving forward.” At 64-65. That’s about as vague as a Committee can be, and perhaps it was intended to leave the government free to frame agricultural reforms in whatever way it wants, after already rejecting the carbon tax. A Draft of Ireland’s National Energy and Climate Plan (NECP), in December 2018, also shows little evidence of laggard remorse. The Draft states that “Ireland’s long-term climate policy framework is set out in the 2017 National Mitigation Plan”… and that “The measures to be implemented through the National Mitigation Plan will lay the foundations for transitioning Ireland to a low carbon, climate resilient, and environmentally sustainable economy by 2050.’ At 2. Most of the progressive countries assessed in the Indexes have called for a Net Zero Carbon Emissions by 2050, while the Irish refuse to adopt any hard targets for 2050 but instead call for a “low carbon economy,” whatever that means. Further evidence of the lagging government is the fact that in March four MEPs from the Fine Gael party voted in the EU against more ambitious climate emission targets. The study indicates that the last three countries on the CAN chart — Estonia, Ireland and Poland — share a common trait: a stiff opposition to climate change nationally. If Ireland aspires to be, or at least to be seen as, a leader in climate change action, which it professes from time to time, it needs to move away from such company. That is certainly necessary if Ireland hopes to market itself, and its agricultural products, as Green. In the meantime, the Irish government, as opposed to its Citizens and youth, remains an embarrassing laggard.